The latest research shows that adding public radio to your marketing plan will increase your business and add to your public image. When you become a sponsor of Montana Public Radio you are supporting a valuable community service and reaching a large and loyal audience. We reach over 70,000 listeners every week in the Missoula, Kalispell, Whitefish, Butte, Helena and Great Falls areas. 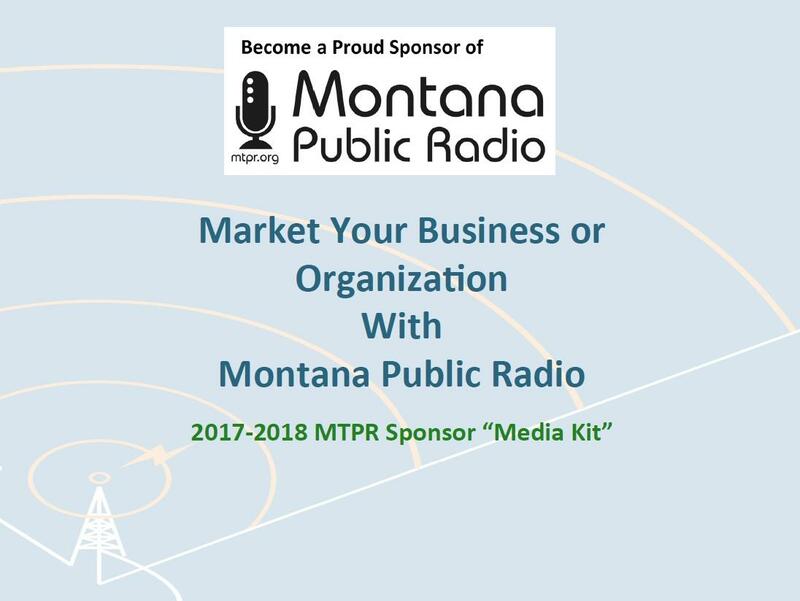 Over 90% of our listeners report doing business with our program sponsors (Source: Montana Public Radio member survey). Over the past several years Montana Public Radio has ranked as the most listened to radio station in the Missoula/Bitterroot radio market. The 12 transmitter network of NPR stations covering western and central Montana also reaches more listeners in Montana than any other. Our sponsor announcements are 15 seconds long. They run individually and are spaced 10 to 30 minutes apart, giving our listeners the opportunity to really focus on your message. In addition to your announcements, your business is also listed at mtpr.org with a direct link to your site. Sign up for an Annual package and receive discounts over our per announcement rates. Annual package schedules are custom crafted for you. Annual contract sponsors can add digital sponsorship options to expand your reach to the MTPR audience. 300 x 250 website banners are available, which gives you the opportunity to reach the loyal public radio audience in an entirely new way! And you can also add a banner to our weekly E-Newsletter which is sent to over 10,000 MTPR members.